Germs have never been so fashionable! 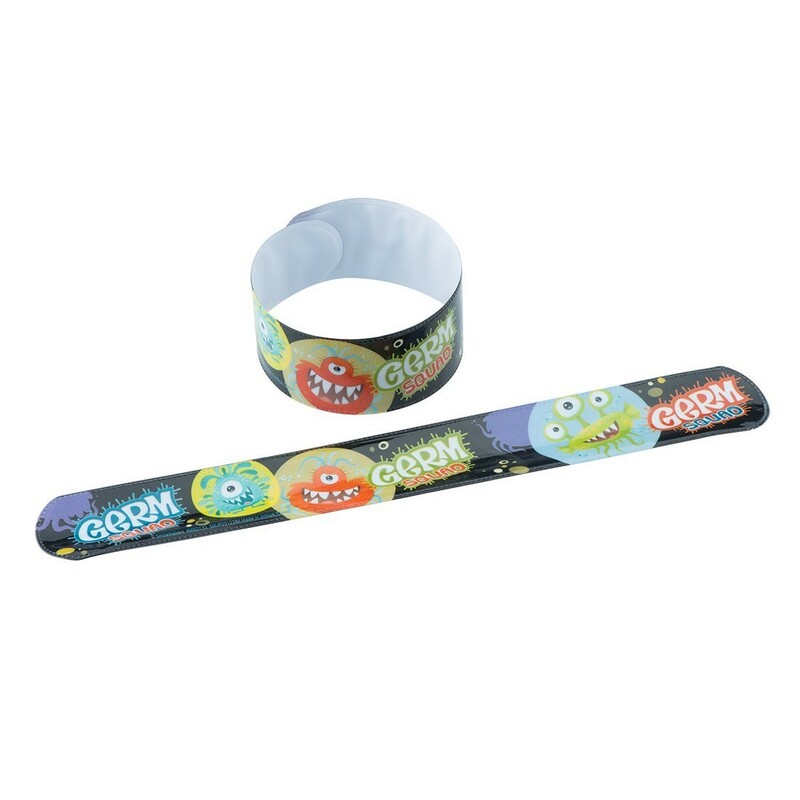 When patients slap these Germ Squad characters around their wrist they'll be reminded of how important it is to wash their hands! Vinyl.